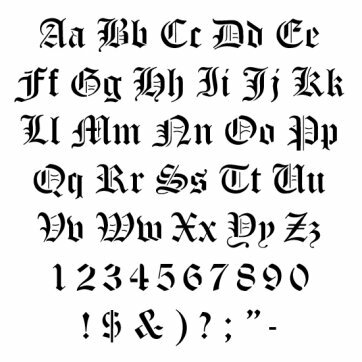 Old English calligraphy, also referred to as blackletter script, means "beautiful writing," derived from the Greek words "calli" and "graphien." 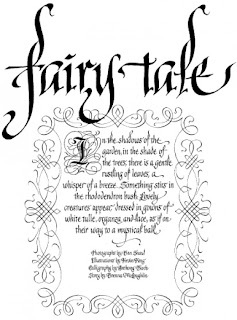 The letters are made up of thin and thick strokes from a quill stylus dipped into a jar of ink. 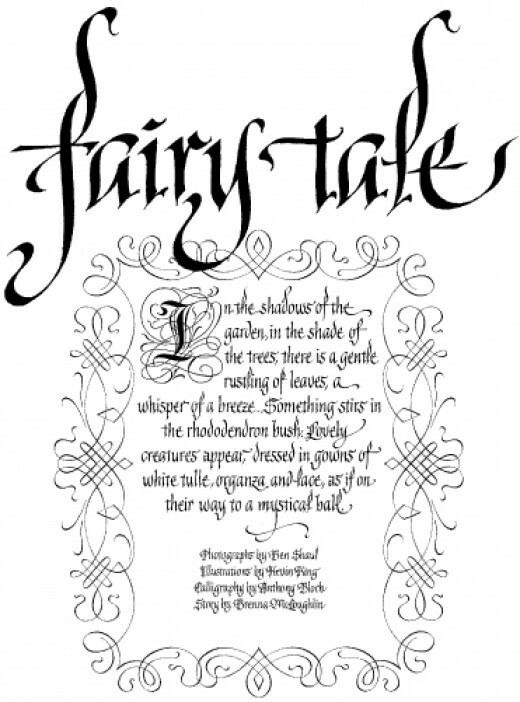 Calligraphy was the main way books were written before the invention of the printing press. 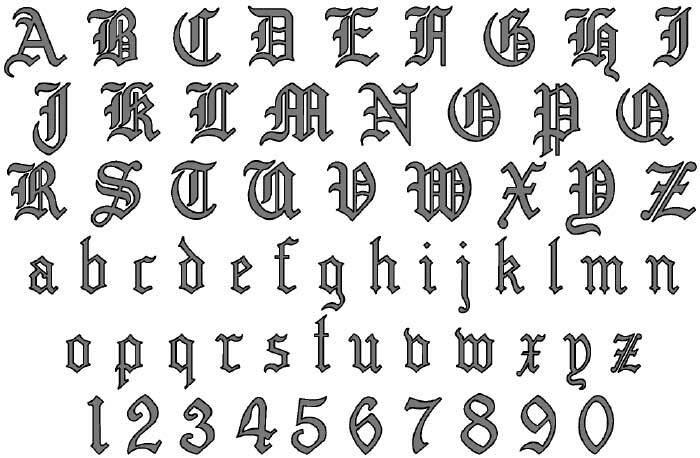 Old English calligraphy goes by different names, including blackletter and gothic. This type of calligraphy was adopted and transformed from the Chinese calligraphers of the east. Chinese calligraphy is done with an ink brush and in a flowing, artistic manner. 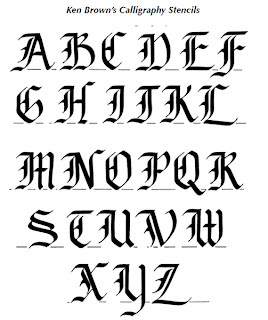 Old English calligraphy was meant for books written by scribes on parchment and vellum. The link between Chinese calligraphy and Old English calligraphy comes from the Phoenicians, who are credited with the first alphabet and letter writing systems and passed their knowledge through travel to the Greeks. In turn the Greeks created their own writing style and by 850 BC the Romans had changed it to suit the spoken Latin language. 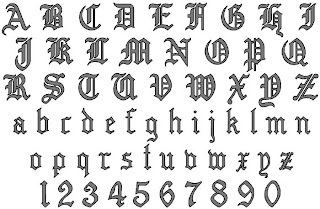 As the Roman churches started spreading through Europe during the Middle Ages, so did the calligraphic writings. 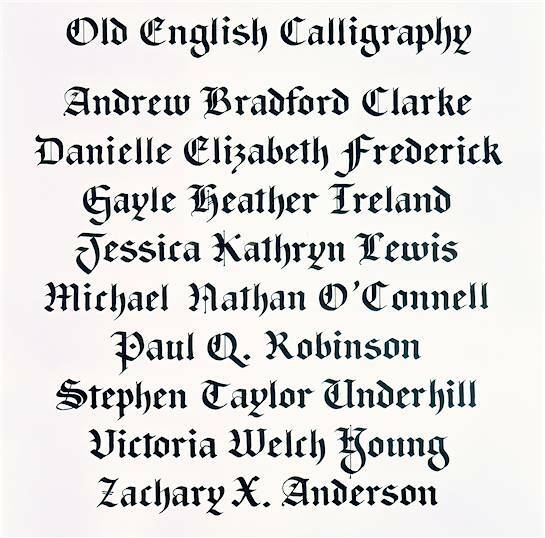 The purpose of Old English calligraphy came about to save on the cost of paper or parchment and vellum, which were expensive. 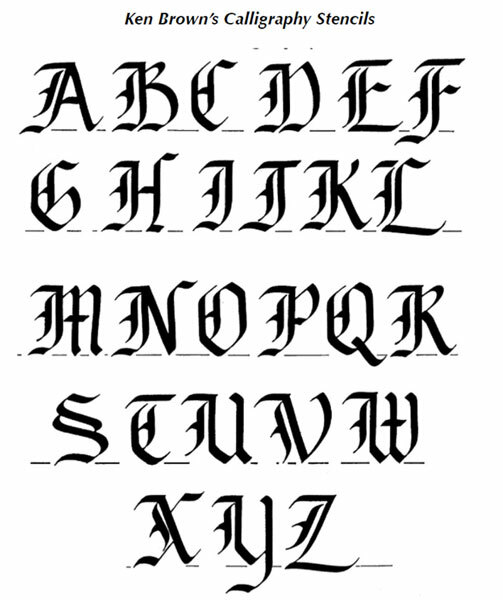 Scribes who were monks worked in the scriptorium of the monasteries and thinned out the letters of calligraphy. This was done to allow more words on a single line. 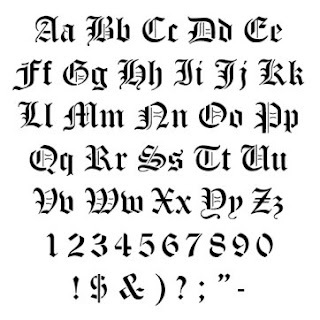 This type of Old English calligraphy lasted well past the Middle Ages until the onset of the printing press. Beautifully decorated books filled with Old English calligraphy were often biblical. As only monks and some high-ranking nobility were literate, these books were made for high-ranking church members as well as royalty.